Under the brightest of Friday night lights, a little history was made on December 19 at AT&T Stadium in Arlington, Texas. When Cedar Park took on Ennis for the 5A Conference, Division 2 championship, which Ennis won 38-35, it was more than a football game between Austin and Dallas-area schools. A Pennsylvania-based company known as Unequal touted the matchup as the first time two opposing high schools would meet in a Texas State High School football championship game with supplemental protection -- a product Unequal calls Gyro -- inside their helmets. The quarter-inch thick liner, which sells for $60, is made of a military grade composite -- strengthened by Kevlar and Accelleron -- which absorbs and disperses impact energy away from the head and body in a way that typical padding of equal weight and thickness cannot. With growing concerns about traumatic head injuries in football, there are already coaches calling for this type of added protection to be mandated at all levels. ​"I saw how effective the Kevlar products were for quarterback rib injuries, and running back shoulder injuries,” says former college and NFL coach June Jones, "and that triggered me to see if we could use it in thigh pads. The players were amazed at how good they felt after games. Finally, I wondered, ‘Why don’t we put it in our helmets?’ We did last year at SMU and it made a difference." Rob Vito, a Penn State business school professor who is president and founder of Unequal, says his company originally started with military contracts, until one day a United States Marine who was a student at Penn State told Vito, "You made a bullet proof vest that’s lighter, thinner and more flexible, and make soldiers safer. You should be able to dominate sports." ​"Our first call was from the Eagles camp,” Vito recalls. “Mike Vick had injured his sternum. We took some of that military grade protection and built him a chest protector. That Sunday he went out and got hit about five times in the chest, but helped the Eagles put up 59 points against the Redskins. After that we became the go-to company for protective gear." 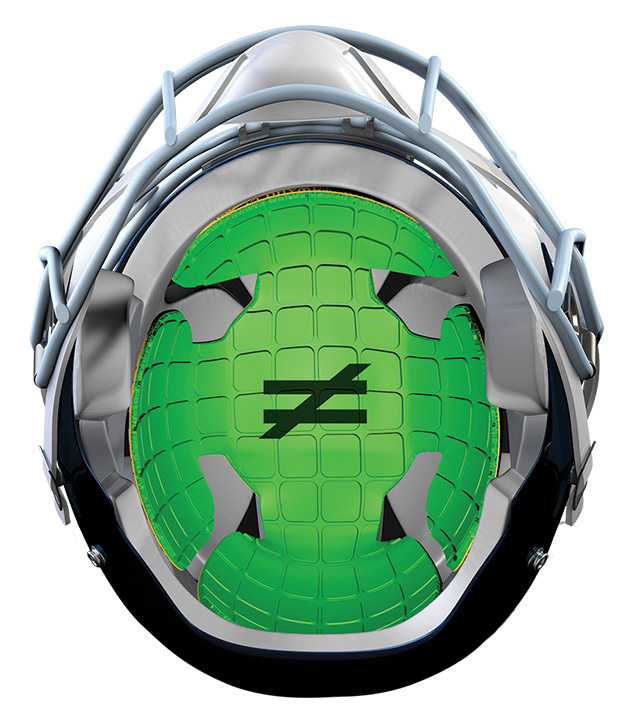 Unequal introduced Gyro, its protective headgear product, in 2010 in the NFL. The first player to use it was linebacker James Harrison. The Business of "Healthy Eating"
​"James had hit a guy so hard that the orbital bone in his eye cracked," says Vito. “He was on the injured reserve list and the Steelers neurosurgeon, Dr. Joseph Maroon called me. He said, "Here’s an opportunity to try your technology in his helmet." That Sunday, James sacked the Ravens quarterback three times and he called me on Monday and said he no longer had shooting pain in his head, stars in his eyes or ringing in his ears. At that point, it just radiated through the NFL and at all levels. We ended up doing about 18 of the Steelers helmets. High schools and colleges and everyone else fell into place." Texas high school football has been a great proving ground for the product, Vito says. A coach named Paul Ressa at Newman Smith High School in Carrollton, Texas, raised money and mandated that his varsity team all wear the Gyro padding during the 2013 season. "Coach Ressa’s team went an entire season with zero concussions," Vito says. "So in 2014, they raised more money and it was mandated for the freshman, JV and varsity teams, and out of 172 players, in the entire season, they had one concussion, which is pretty remarkable. Just understand our claim is that helmets with Unequal predict a lower risk of concussion. We don’t prevent, we just help predict."